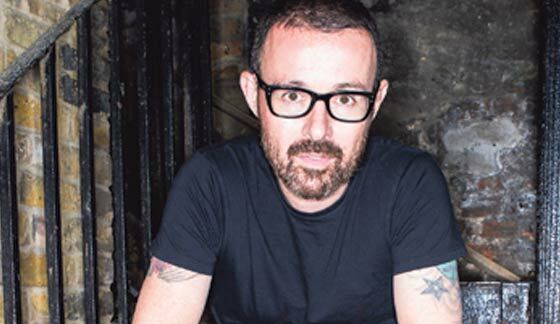 One of the king’s of Ibiza’s early trance scene, Judge Jules still flits between home and ‘the island’ dropping records and exploring newcomers to a scene he helped create. These days, though, DJings for the weekend: he’s a specialist lawyer, too. Listening to Jules describe his manic schedule is enough to make your average person wilt: long weeks as “probably the only person in my field with real life experience at the top end of the music industry;” weekends on the decks. “It’s a background thing, but it’s syndicated to lots of radio stations, so I think of it a bit like the radio,” he says, recalling his time on BBC Radio One. “I’ve nothing negative to say about Radio One, it was an amazing experience and everything runs its course. This is a great way to showcase stuff I like. “DJing for radio and DJing live are similar in name only really. Of course you’re playing records, but there’s no immediacy from radio. “You might be aware that you’re playing to lots of people, but there’s not that live immediacy to react to. That always influences you. Live, Jules does different types of sets these days: those in the style of his 90s heyday, a loving throwback to the highs of 25 years ago, which he calls an “exhibitions,” and those with more of a modern tinge. With the latter, he’s come to view the world in a distinctly modern light. “The focus now is very much on the record, not the people,” he says of today’s scene. “My playlist this week is almost entirely full of people that I’d never heard of six months ago. The internet, in a sense, has handed over a kind of equality alongside the potential for viral promotion. Oddly, in Jules new world organisation amid the chaos has also become critical. “I might do an 18 hour day sometimes with the law and, usually over the weekend with the music. “Before I retrained in law again, the only time I ever used it was in in knowing what to say to the police when they turned up at illegal parties. As for that world back in Ibiza? “The main difference today is it’s very much about the day clubs,” Jules tells us.